One thing we like to do in the Frye house is eat! Here are somethings Ive whipped up recently thanks to Pinterest! 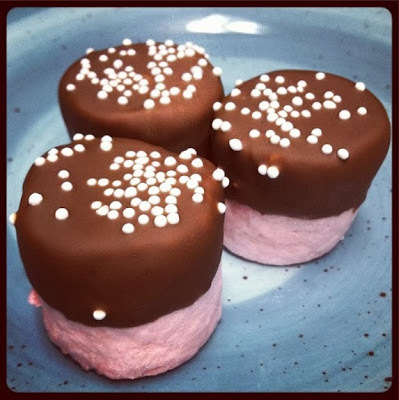 Chocolate Covered Strawberry Marshmallows: I clearly like dipping things in chocolate. I picked up some strawberry marshmallows from the store for this yummy treat. Melt chocolate using my technique here. Dip marshmallow about half way down into the chocolate and then take out, keep over the bowl because it will drip! Lay down on a pan lined with parchment paper then dust with sprinkles and refrigerate. 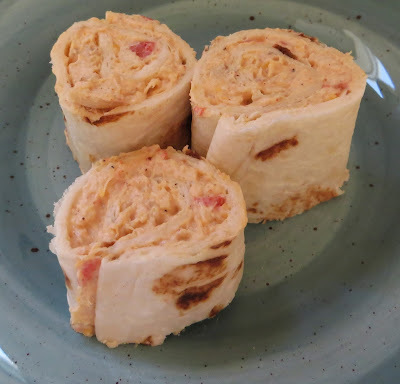 Chicken Enchilada Dip Rolls-Ups: Feeding a small army or planning a party? These enchilada rolls are for you! Serves about 3 dozen. Peanut Butter Bananas: These little gems are AMAZING! Good for dessert or just a little sweet snack. Butter: When cooking I ALWAYS forget to set out the butter to soften. I've tried putting it in the microwave but that always turns out to be a BIG mess. Here is the perfect pin-solution! 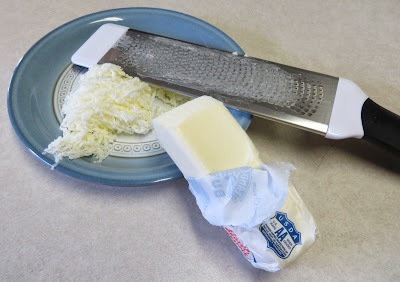 When you need softened butter, grate it while still hard then mix it with other ingredients. The butter will soften quickly and perfectly throughout the other ingredients. What a lifesaver! Since we don't have kids to dress up and take trick or treating, Derek and I aren't huge Halloween people. 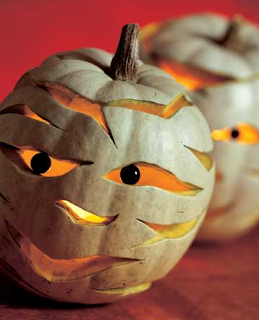 We don't normally dress up, decorate the house or go to parties, but we aren't complete Halloween scrooges either. 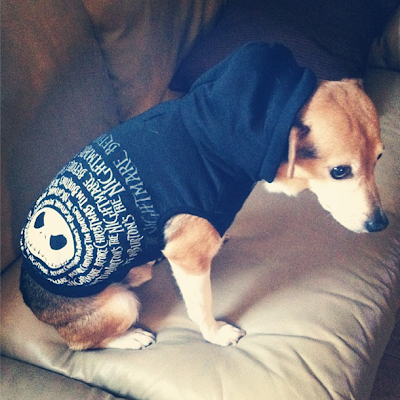 Dressing up my dog, Texan. Last year he was superman which was carefully planned out and happens to be his dads favorite. This year his mom (me) didn't go shopping until Halloween at about 5:30pm so he got a cute little nightmare before Christmas sweater. PS: He hates it. Look at that face of shame. In September, I was invited to a candle party. I ended up buying this glass candle holder with tons of possibilities. For Halloween I filled the holder with candy corn and lit an orange candle. See we can be festive! I plan to change out the decoration to fit the current holiday. 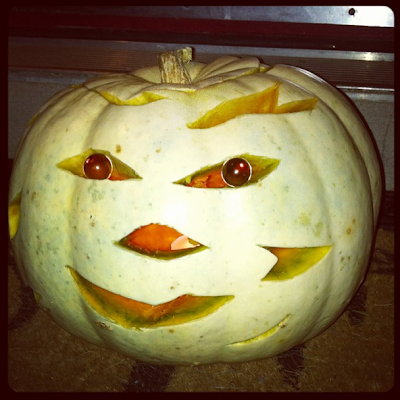 A happy mummy? Kinda? Whatever, the eyes are cool and it was time well spent together. While we were waiting for trick or treaters to come to the door I made myself a little drink with what we already had in the fridge. I saw a pin earlier in the week about a girls night Mike-A-Rita and thanks to a recent college reunion at our house I had all the ingredients. Mix tequila (I used two shots), strawberry margarita mix and ice in a blender, blend well. 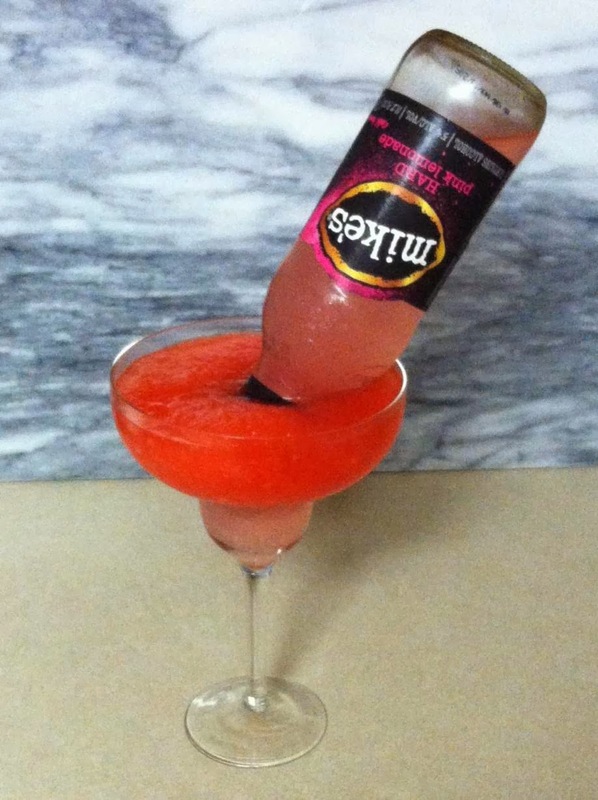 Pour mixture into a glass, margarita or regular and quickly dunk a Mikes Hard Pink Lemonade into your glass. Careful not to spill! Enjoy!